-Canguilhem, G. La Formation du concept de réflexe aux XVIIe et XVIIIe siècles. Paris, Presses universitaires de France, 1955. -Hughes, J.T. 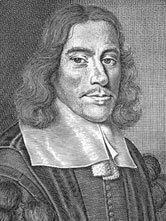 Thomas Willis 1621-1675: His life and work. New England Journal of Medicine, 328 (1993), 816-817. -Isler, H. E. The circle of Willis. En: Neurological Eponyms. New York, Oxford University Press, 2000, pp. 56-62. -Keele, K.D. Thomas Willis on the Brain. An essay Review. Medical History, 11 (1976), 194-200. -Laín Entralgo, P. Historia de la Medicina. Barcelona, Salvat, 1978. -López Piñero, J.M. La iatroquímica de la segunda mitad del siglo XVII. En: Laín, P. (dir). Historia Universal de la Medicina, Barcelona, Salvat, 1973, vol. 4, pp. 279-295. -Üstün, Ç. Dr. Thomas Willis' Famous Eponym: The Circle of Willis. Turk J Med Sci, 34 (2004), 271-274. Affectionum quæ dicuntur hystericæ et hypochondriacæ pathologia spasmodica vindicata, contra responsionem epistolarem Nathanael. Highmori. Cui accesserunt exercitationes medico-physicae duæ. 1. de sanguinis accensione; 2, De motu musculari. Lugduni Batavorum, Driehuysen et Lopez, 1671.